A shipyard designated for reconstruction of historic ships in Saint Petersburg is located in Lakhta on the territory of Saint Petersburg Yacht Club in 'Hercules' marina. 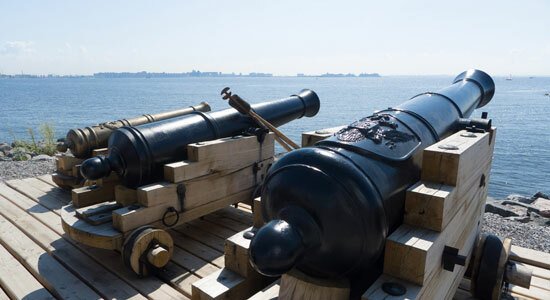 The first large-scale project, replica of the 54-gun ship of the line 'Poltava' has been under construction since last year. The framework and the key elements of the hull are made of oak according to the shipbuilding rules of the XVIII century. Its prototype, named after the decisive battle of the Great Northern War - the Battle of Poltava, was the first battleship laid down and built at the St. Petersburg Admiralty in 1712. Peter the Great himself took part in the construction along with the famous craftsman Fedosey Sklyaev. The ship was engaged in five marine campaigns of the Great Northern War in the Baltic Sea. The replica is designed according to the historical data mined during complex research and is being built by the best specialists in wooden shipbuilding, many of whom were engaged in the construction of the famous 'Shtandart'. The shipyard has its own design office and research department, with more than 60 carpenters involved in this project. Leading specialists into the historical areas of Peter I and the Russian Navy as well as museums and archives are helping to continue the investigation about 'Poltava' and currently the 3rd edition of the 'Poltava' book is being written for publication. Once the construction has finished 'Poltava' will be part of the museum complex dedicated to the history of the Russian Navy. 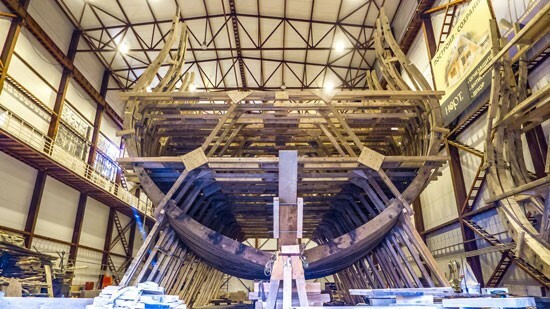 The shipyard is in its early development phase, but the organizers are anxious to follow the success of Batavia (Netherlands) and Hermione (France). Specialists from these shipyards are eager and will share their experience with their colleagues from 'Poltava'. The shipyard includes a lumber yard, where trees brought from different parts of Russia (mostly from the Sararov and Tambov areas) are stored before further processing. At the sawmill trees are cut into blocks for half-timber, which are later used in producing the hull elements. Lack of high quality oak timber is one of the main problems in the construction process. Only high quality oak stems from 6 to 12 meters long without voids or rot and a diameter of 60 cm up to one meter can be selected for construction. Three hundred years ago there were many more oak forests available in Russia but even at that time Peter the Great was already heavily lacking timber for shipbuilding. The assembly hangar is the heart of the shipyard where different elements are brought to join the hull. This is where the frames are put onto keel with the help of an overhead crane. The special gallery is then built above to enable visitors to watch the process. Guests can watch the process from inside the workshops under one roof. 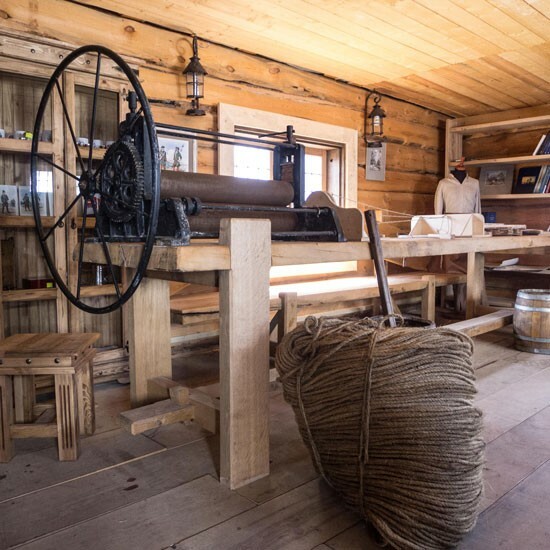 You will see the spars workshop, sail loft, decorator's workshop; joiner's and rope shops where they sew sails, produce ropes and decor for the ship. Visitors can also view and touch the replicas of Poltava cannons which have recently been cast in iron and bronze in accordance with the XVIII century sketches. Visiting the exhibition also reveals the subject of building replicas of XVIII century ships in the contemporary age. 'Poltava' has already become one of the landmarks of Saint Petersburg. The ship is planned to be finished by 2017 following construction works of the museum complex. This will include interactive learning programs for children as well as working as a scientific center for maritime history and underwater archeology studies, focusing on the epoch of Peter the Great. The historic shipyard will continue to work on the construction, restoration and maintenance of historic vessels within its care. This initiative is made possible by Gazprom, the Russian investor of the shipyard and museum, as well as a growing number of trustees.